It’s simple cause and effect – having more vehicles on roads around the world means more collisions. With the global vehicle count at about 1.32 billion – a number that has doubled over the last 20 years – a number of groups have compiled numbers that show car crashes have risen dramatically as well. In the U.S., it’s estimated that collisions have an economic cost of US$242 billion every year. And that’s part of the push towards autonomous vehicles that – when fully developed – will bring the collision and fatality rates down to essentially zero thanks to the elimination of human error. However, collisions are good for business in the aftermarket. But with changing times comes changes to how business is done. According to data by Grand View Research, the global automotive aftermarket is expected to reach US$486.36 billion in value by 2025. Driving that growth will instead be the rising number of electric, hybrid and, yes, autonomous vehicles. 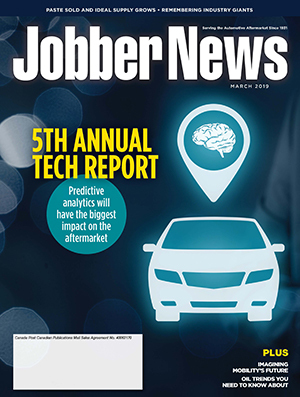 The March issue of Jobber News explores just what mobility may look like in the future and how vehicle technology may fit in our current ecosystem. 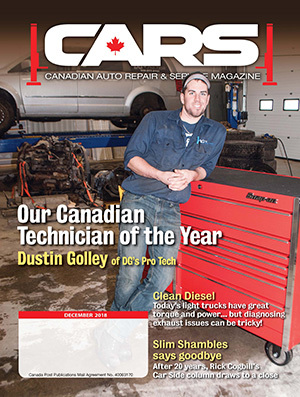 The issue also looked at what the future of automotive repair may look like in a new technology-driven world. 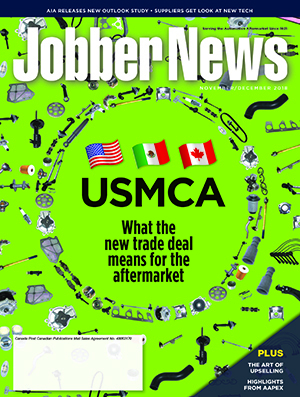 One issue that the aftermarket needs to understand better is predictive analytics. Jobber News spoke with Shiva Bhardwaj, CEO and founder of data analytics company Pitstop. Understanding what could go wrong in a vehicle before it happens is a huge advantage to those in the aftermarket. 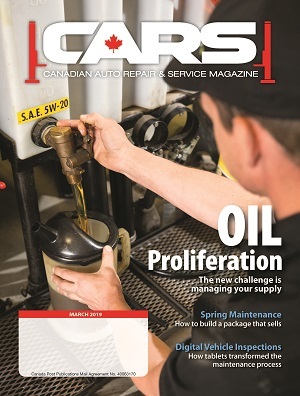 More vehicles are becoming connected – either off the assembly line or through a dongle attached to an older car its owner – and shops, jobbers and suppliers stand to benefit if they jump in. So those who are ignoring the future, waving off technology as merely a dream or otherwise think nothing will change, are in store for a shock. As the McKinsey partners stated, consumers are demanding these technologies. Carmakers and technology companies are working towards meeting their needs. If the aftermarket is unprepared, then it will be those same players who will be looking after consumers for their repair needs.